With your pets running in and out of your home can be a cute sight to behold until you see all of the dirt they have tracked in. A large amount of debris they track in on their paws can ruin your flooring faster than you may realize. 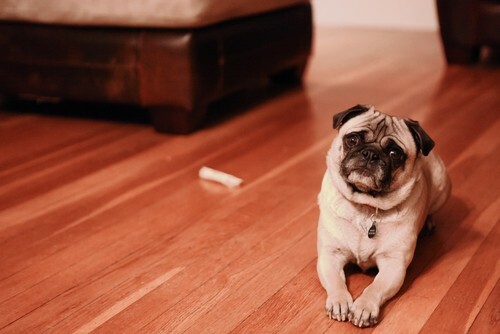 Rather than spend one moment aggravated at your dog, take the necessary steps to pet proof your flooring. Mud embedded in your carpet or smeared all over your hardwood floors can turn a wonderful day into a horrible one. The number one aspect to take care of is your dog’s feet. Picking up dirt is unavoidable for your pup. What you can control is how much they bring in by wiping their feet before they had back into your home. Have a box of wipes at the ready to remove most of the dirt from their paws. You can also place a heavy mat at the entrance to reduce the amount of dirt that comes in with them as well. Your indoor carpeting will be extremely grateful. Do not forget how proper grooming can also save your flooring. The clack of your dog’s nails can sound pretty cute when they are running down the hall. In actuality, they are scratching up your flooring or catching in the carpet. Clip them yourselves or take them to the groomers as a preventative measure. Make sure they also receive a good cut and brushing while at the groomers and continue the brush maintenance throughout the week. Pet hair appears everywhere and it extremely noticeable when it is allowed to accumulate for long periods of time. Keep you and your dog happy with a regular brushing and weekly vacuum. Remember that carpet will trap smells, especially the smell of dog. As a general rule, you should not allow a wet dog to run around your home as the smell of a damp dog is especially potent. Make sure they are properly dried after a bath. Keep your home smelling fresh by conducting a deep carpet cleaning every season. Not only will it eliminate smells but keep your carpet in tip-top shape. Even with the best of care, your home flooring can take a beating from your pets. 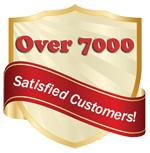 Residents of Denver can seek flooring replacements from Denver Carpet and Hardwood LLC.